The World Health Organization attributes hypertension, or high blood pressure, as the leading cause of cardiovascular mortality. An elevated arterial pressure is probably the most important public health problem in developed countries. It is common, asymptomatic readily detectable and easily treatable, and if untreated, often leads to complications. Although our understanding of the pathophysiology of elevated arterial pressure has increased, in 90 to 95% of cases the etiology is still largely unknown. As a consequence, in most cases hypertension is treated non-specifically, resulting in the large number of minor side effects and relatively high non-compliance rate. The ratio of hypertension frequency in women versus men increases from 0.6 to 0.7 at age 30 to 1.1 to 1.2 at age 65. Dentists have a rare opportunity to detect cases of hypertension. It is a professional responsibility of a dental clinician to inform the patient of their hypertensive state and to offer medical advice, including epropriate referrals. There are no recognized oral manifestations of hypertension but antihypertensive drugs can often cause side-effects, such as xerostomia, gingival overgrowth, salivary gland swelling or pain, lichenoid drug reactions, erythema multiforme, taste sense alteration, and parasthesia. 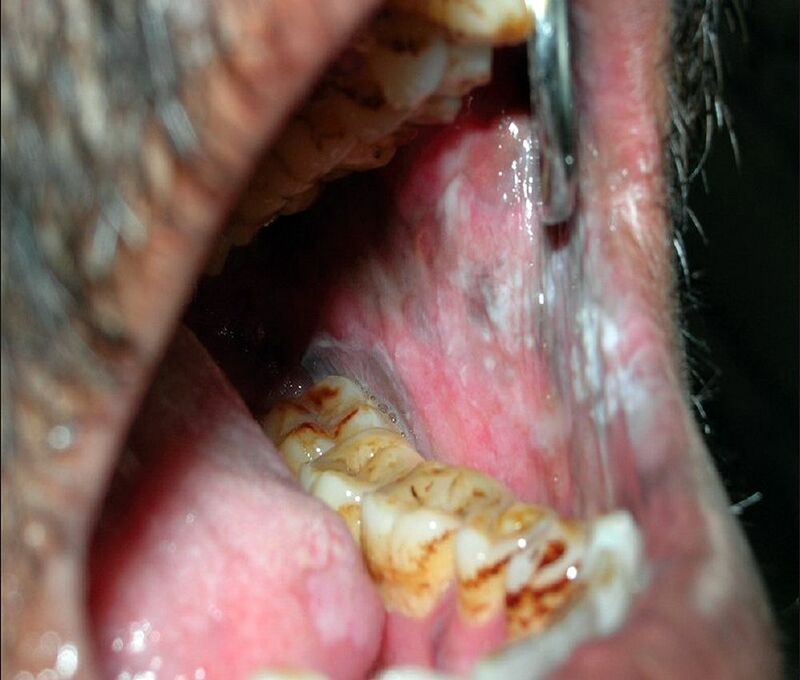 Dental disease has often oral manifestation of acute, chronic, and systemic disease. Studies have indicated that, afflictions such as heart disease, diabetes, stroke, hypertension, multiple sclerosis, and HIV/AIDS often can be discovered during a routine visit to the dentist. Periodontitis is one of the most chronic infectious diseases. The mouth is an ideal breeding area for bacteria and those affected by periodontal disease are at increased risk, for potentially fatal bacteria entering the bloodstream via infected oral tissue.